Today people are using shower enclosure in their bathroom to make it look elegant. To create a feeling of openness and spaciousness, glass shower enclosure is great. A clear glass shower enclosure in the corner of small bathroom make the room look spacious. Corner shower enclosure is a popular choice of modern bathroom as it is space saver. If you want to show your bathroom tiles design, the glass shower enclosure is also perfect for that. Glass shower enclosures are come in various designs and sizes. You can choose from a wide range of designs from framed to frameless glass shower enclosures. Shower enclosure can be sliding door shower enclosure, Bi-fold door shower enclosure, corner shower enclosure, Quadrant shower enclosure, Circular shower enclosure, D-shaped or cubical shower enclosure. 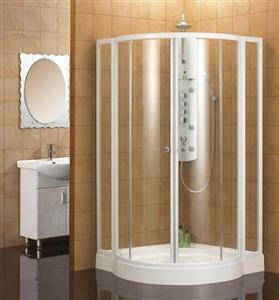 Shower enclosure can be of clear glass, tempered glass or stained glass. 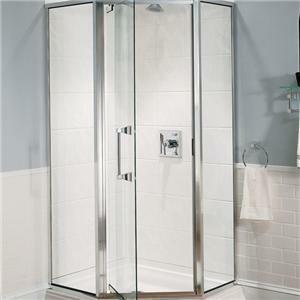 Shower enclosure can be fixed in center of bathroom or it can be fixed in corner of bathroom. Shower enclosure made of stained glass is great for a large bathroom. Stained glass shower enclosures add décor to your bathroom, the design of shower should match to the tiles design, color and also the accessories of bathroom. Shower enclosures are available in standard glass and tempered glass. 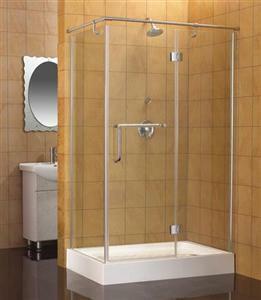 A tempered glass shower enclosure has more clear glass than other one and it is durable also. A clear glass shower enclosure can give a nice look to your bathroom. Here are given some designs of shower enclosures, you can get help from this while choosing shower enclosure for your bathroom.